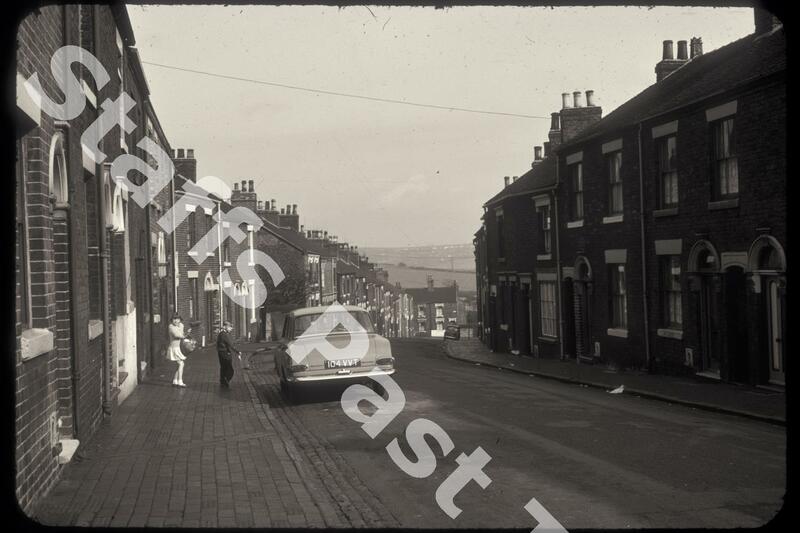 Description:The camera is looking north eastwards along Mount Street inn the Northwood area of Hanley. Oak Street is the road running across the bottom. The then open space in the distance is Birches Head. Most of the houses had been built by 1880, with complete infilling by 1900. At this time Mount Street was right on the outskirts of Hanley. On or two buildings have been demolished and rebuilt, but the pattern of housing has remained largely unchanged. The car is a Vauxhall Victor FB saloon built between 1960 and 1964. The two youngsters, seemingly sent to the corner shop, have a typical gondola wicker shopping basket .